Liebster Award – Nomination and Interview! I’m delighted to share that Grab My Wrist was nominated for a Liebster Award by Laura Roberts of Buttontapper Press. Laura is a prolific author, editor, and a leader in the community of San Diego writers. This month (May, 2016) she is writing a story a day. Go check it out. Thank you for your nomination, Laura. I’m honored. I accept! As part of the Liebster Award tradition, Laura posed some questions for me. After the Q&A, here, I will nominate others, and ask them a few questions of my own. Q: What most inspires you to write? A: Connecting with individual readers. When I write I think in terms of speaking directly to the person holding the book. There are a few writers who, through their writing, have profoundly influenced the course of my life. I may not have many thousands of readers, but when I hear directly from a reader saying that something I shared made a difference with them, that’s better than any analytics data telling me whether a post, article, or book is popular. Q: What is the best piece of advice you’ve ever received about writing? A: The admonition you always hear to write first and edit later has never worked for me. The two are like breathing in and out – you can’t just breathe in today, and then worry about breathing out later. I do both at once. I *also* go back to rewrite and edit, but I can’t “just write” without editing as I go. Q: If you could be anywhere in the world right now, where would it be and why? A: I am so rooted to where I am it’s hard to imagine being anywhere else. I guess it’s a good thing to have a life that doesn’t leave you longing for vacations! I’ve seen some spectacular photos of friends’ trips abroad, and some tempting stories of week-long meditation retreats. Travel is fun, but also uncomfortable and a lot of hassle. Tent camping in the local mountains sounds much more pleasant than traveling the world in style. Michael and I do have a lot of fun together on long road trips. He plays traditional Irish music in sessions with friends. Someday I’d like to do a big trip with dojo- and session-hopping along the way. And there’s a dojo I’d like to visit, to train with that teacher for more than just a weekend seminar here and there, I just have to work out how to make that happen. Q: What’s your favorite book, and why? A: Oh… That’s a tough one. I’m going to call it a three-way tie. First, Wishcraft, by Barbara Sher. (You can download the whole thing in PDF format from her website now!) It was recommended to me in about 1990, and was the first book I’d read that was actively helpful. It was an excellent tool for helping discover what was important to me and what I wanted. I’ve recommended it to dozens of people since then. Don’t just read it – do the exercises. For anyone at a turning point, this is the book you should have. Second, Horsemanship Through Life, by Mark Rashid. Mark, directly and through and his book, introduced me to Aikido. You can read more about Mark’s book (one of many excellent books he’s written) in other posts here – just search for his last name. Third, The Way of Aikido, by George Leonard. I regret never having had the chance to meet Leonard Sensei in person, but at least through this and other books he became a powerful role model to me. He started training at the same age I did, in the same lineage, and ran into some of the same difficulties, and went on to be a 5th dan (pretty high black-belt rank) with his own dojo. His writing really helped me through my first few years, when I found it easy to doubt myself. Q: What kinds of things do you do for fun, when you’re not writing? A: Well, Aikido, of course. Training, helping in the children’s programs, occasionally teaching. Traveling to seminars and retreats and training with friends from all over the world is great fun. I also love playing with photography, especially at the dojo and out in nature. I love getting candids that really capture people. One of the highest compliments I can get about a photo is when a friend uses it as their profile image. That tells me they think it shows something about who they really are. Q: If you had to pick one song that best represents your life, what would it be? A: Finally, an easy question! “Glorious” by Karisha Longaker of MaMuse. It’s a beautiful song expressing gratitude for day-to-day wonders like friends, rain, and baby birds, and about the cycles of life. When I arrived early at the dojo for my sho-dan (black belt) exam I put this song on to get settled and in the right frame of mind. “I’ve got good friends to the left of me and good friends to my right” – perfect for that experience. It had rained that morning, so it was especially appropriate. The lyrics even include visiting raccoons, who are a regular thing at our house. I’ve linked the title to the lyrics, but they don’t do it justice. Go buy it. Oh what a day! Glorious! Q: Do you have any good luck charms, and if so, what are they? Q: Which fictional character best represents you? A: I don’t read a lot of fiction, so I don’t know many to choose from. One that really stuck with me since childhood was Karana, the girl from the book Island of the Blue Dolphins. She lived alone for years, stranded on an island off the coast of California, living off the land and sea. No magic or fairies were involved. She relied on her own skills and her ability to observe and work with animals and nature. I didn’t know until a few years ago that it was based on a true story. Q: What’s the craziest thing you’ve ever done? A: I’ve done some pretty cool things, but I don’t know that I’d call any of them crazy. They were too well thought-out. But here are a few anyway: Completed the est training (twice), and did The Six Day (twice). Did some aerobatic flying. Moved to a semi-rural area and kept horses for many years. Started training in Aikido – a vigorous, physical martial art – at 46. Launched two new careers in my early 50s – writer and Certified Personal Trainer. And most recently wrote about 1,000+ words a day for a month as part of the A-to-Z Blogging Challenge. Q: What do you consider your greatest accomplishment in life (so far)? A: Wow… That’s a big question. I’d have to say reaching the rank of sho-dan (first black-belt rank) in Aikido. Not just passing the exam, or demonstrating a certain level of technical proficiency, but the whole path to get there. Everything from walking in the door of the dojo for the first time, to being part of the community, supporting others and accepting support (that can be a hard one! ), training regularly, not letting things stop me… Mostly it’s been a joy and a privilege. I really love all of it, so I can’t say it’s been any kind of sacrifice or hardship. But some parts have been a real test, way out of my comfort zone. I’ve had to grow in a lot of directions. It’s easy to get through school, go to college, progress through a career… Those things are just expected in the ordinary flow of life. Nothing about my experience of Aikido has been ordinary. Q: And, of course, the all-important question: Pirates or Ninjas? A: Ninjas, of course. While I was answering this question the ninjas have already bored holes in the hull of the pirate ship and gone home. The pirates haven’t even noticed. Too busy sleeping off last night’s rum. Thanks, Laura, for the interesting questions! I really had to think about those. That was fun. 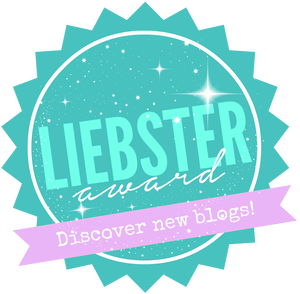 The Liebster Award (complete info here) is passed from writer to writer, acknowledging and promoting awareness of excellent blogs around the world – especially new or little-known blogs. Each nominee nominates others they think are deserving of recognition and a wider audience. Mark has been blogging even longer that I have – going back to at least early 2008 – and has been a friend and inspiration to me from when I first started training. He shares his insights about his journey along the path of Aikido, and about his music and life. I originally knew Janelle, ahem, Dr. Shane through the Irish music community. Now (alongside the actual important science work she does) she is a brilliant communicator about the wonders of all things scientific, from amazing photography using a scanning electron microscope, to following along as a neural network attempts to create recipes. Like for cooking food. The latter are freakin’ hilarious. You must read them. Just not anywhere that laughter would be inappropriate. I hope some large, popular media outlet (Pssstt! NPR, are you listening?) discovers her and puts her front and center in sharing the wonders of science with a wider audience. Join LaVonne, former voice on San Diego news radio, now an author and adventurer, as she travels the world in LaVanne, with her faithful dog, Scout. LaVonne is a unique spirit, who tells her story in sometimes funny, sometimes poignant letters from the road. You might also enjoy her book, A Complete Flake’s Guide to Getting Sh*t Done. This is a very new blog by Antonella Nuscis, who teaches Aikido in Italy. It is (appropriately) in Italian, which I don’t speak, but her writing comes across perfectly well via the translate feature in my browser. In her posts so far she has touched on Evolutionary Aikido, and on her experiences being an uchi-deshi, or live-in student at Miles Kessler Sensei’s Integral Dojo in Tel Aviv, Israel. I need to think about one other nominee… We’ll go with these four to start. What got you started writing? If you suddenly became independently wealthy comfortable, what would you do with your time? How many books are on your nightstand, or end table? Tell us about one of them. Tell me about a compliment, award, or nice feedback you’ve gotten about your writing. What topic do you find it hard to write about? What topic keeps drawing you back to write more? What’s your favorite poem, or favorite poet? Are you a dog person, or a cat person? What’s the weirdest thing you eat with some regularity? I have a podcast to recommend to you. I’ve listened to it a few times before, and just listened to it again, twice, while doing some gardening at sunset out in the front yard. The interview provides an excellent, clear, accessible, and thought-provoking introduction to Aikido. If you are not yet familiar with Aikido you’ll learn a bit of its history, and how it’s distinct from other martial arts. Even if you’ve trained for years, there’s probably something new here to consider about your practice. The podcast is just over an hour long. At about 16 minutes Walker Sensei makes a very interesting point about the practice of Aikido, in contrast to non-contact practices like (most) yoga and meditation. He also discusses his work in neurodiversity and autism rights activism. with Sensei Nick Walker, M.A. The source is Shrink Rap Radio, with interviewer Dr. David Van Nuys, Ph.D. (AKA “Dr. Dave.”) He is Emeritus Professor of Psychology at Sonoma State University. I will be looking up other podcasts from Shrink Rap Radio, too. There is another with Walker Sensei, and #268 – Visual Thinking in Autism with Temple Grandin Ph.D. Hundreds of interviews. Good stuff. They also have apps for iOS and Android, plus you can download the podcasts from iTunes.